Boats Dock Talk Gallery ON SPRECKELS LAKE: Power Runs, Events, Sail & the SFMYC (kinda, sorta, maybe)! Officially so NOT the SFMYC!! 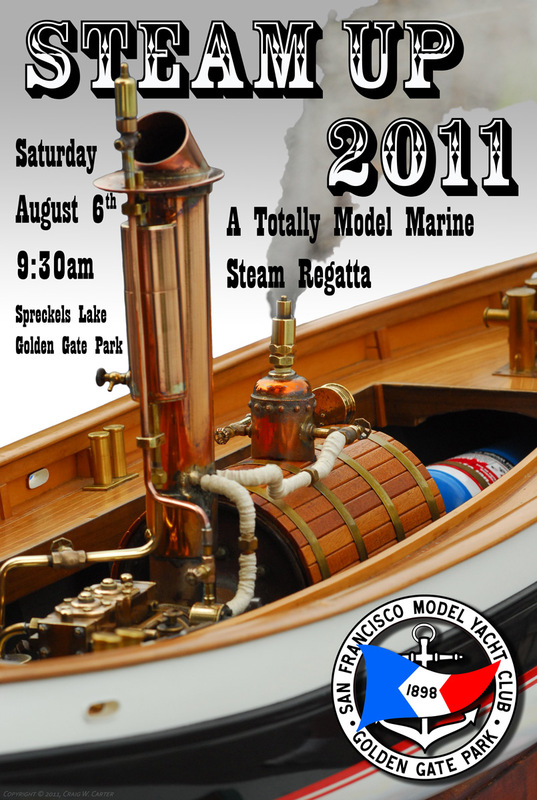 ON SPRECKELS LAKE: Power Runs, Events, Sail & the SFMYC (kinda, sorta, maybe)! Powers-That-Be of the San Francisco Model Yacht Club. Just something like the Hansen gang and the Central Coast boys have put up; a place to make some announcements, hang a few photos and chit chat about what's happening at the Lake, not only with some of the Club's power boaters, but also what is happening with the "Irregulars," the local model boaters who are NOT SFMYC affiliated but who also run gas and electrics on Spreckles Lake during the legally permitted hours. For official 'doin's,' you can find the Club's official website here. EVERYONE interested in our hobby. onward and downward! To the Abyss!!! For the OFFICIAL San Francisco Recreation and Parks Department RULES that govern all boating on Spreckels Lake and in San Francisco's Parks... Click here. and here. These "rules" have the force of law under the San Francesco Municipal Code's Park Code. The following additions to Club policy #3, Use of Spreckels Lake by Members, were unanimously approved by club members at the January meeting. The purpose is to ensure that all classes of R/C sailboats have the maximum opportunity to practice and improve their sailing skills. Spreckels lake is a public lake in a public park. Model boating activities of the SFMYC do not have priority over public use of the lake. All classes of R/C sailboats must be allowed to compete and participate in non-scheduled, informal “pick-up” races, subject to a basic knowledge of the Racing Rules of Sailing by the skippers. Experienced members are encouraged to treat such “pick-up” races as opportunities for training and instruction of less experienced members. All R/C sailboats operated by club members that are not competing in formal, club sanctioned regattas or informal, non-scheduled races, must keep approximately 30 feet away from those that are. STEAM UP 2010 ..... One hot steam event! The "Irregulars" stage a Night Operation at The Lake - Photo's by Craig_C. The Richmond Blog covered the 2010 Steam Up. Last edited by Spreckels Boater; Nov 25, 2013 at 09:30 AM. Directions and such for SPRECKELS LAKE. Today's Weather at The Lake! And if you are interested in a history of Spreckels Lake, Craig_C has been up to no-good over on Wikipedia's Spreckels Lake page. Check it out! He says he regards the Wiki pages as ongoing projects as he keeps digging up new and interesting information on the Lake, the Club and a few other things as well. Craig shot another photograph, this time a panorama to get more of the Clubhouse and to put it more into its setting in the park. Last edited by Spreckels Boater; Nov 25, 2013 at 10:21 AM. CURRENT & UPCOMING POWER EVENT POSTERS + some housekeeping things. Last edited by Spreckels Boater; Jul 12, 2011 at 01:12 AM. How about a name, and some sort of introduction to who you are? Ok gang, this is NOTHING official or authorized by the Powers-That-Be in the SFMYC. Just something like the Hansen gang and the Central Coast boys do. Long as we got that clear; onward and downward into the abyss! Why are you using "SFMYC" as a screen name and our club's logo if this is nothing "official" or "authorized"? Guy's Whomever this is I appreciate the idea and the work it took to make it up, but I probably will have to answer to the board for it. So it would be nice if I knew what and whom I was talking to the Board about. And also you forgot to mention the Navigator Regatta and the Fishing Boat FunRun on OCT. 10, which is a date change. So go for it but give me a bit of info to fend off the Grumbling Grannies. "The Central Coast Boys" are still not gelled enough to have found a regular place and meet time. With the loss of Toesup in the area, well, he was a prime mover. I have been tempted to take a road trip down to Hansen but I need to have something cool to take down there. My current project is a super inexpensive, top secret, rescue and recovery boat! I'm still quarreling in my head on the final design (down to 2 candidates for drive system!). Marc Racer is still finding ways to crash his go-fast stuff, gotta watch that kid. So, we are watching and hoping other clubs get going and doing regular stuff, give us some 'umph' to get our act together. Saturday, October 9, 2010 from 10:00 AM to 1:00 PM. Get directions to Spreckels Lake here. Last edited by Spreckels Boater; Aug 03, 2010 at 11:22 PM. Sunday, October 10, 2010 from 10:00 AM to 1:00 PM. Last edited by Spreckels Boater; Sep 04, 2010 at 04:06 PM. Sunday, October 24, 2010 from 9:00 AM to 4:00 PM. Download a Informational Flyer here. Get directions for Spreckels Lake here. Pictures and a thread on the 2008 Wooden Boats on Parade. Pictures and a thread on the 2006 Wooden Boats on Parade. Last edited by Spreckels Boater; Sep 01, 2010 at 08:34 PM. Why are you using "SFMYC" ...? Chatted with CaptLee on the phone so he knows whom and what and has coverage vis-s-vis the "Grannies." And Capt., you're right, mea maxima culpa about the other events, I have put them up as you suggested. Last edited by Spreckels Boater; Aug 03, 2010 at 07:51 PM.